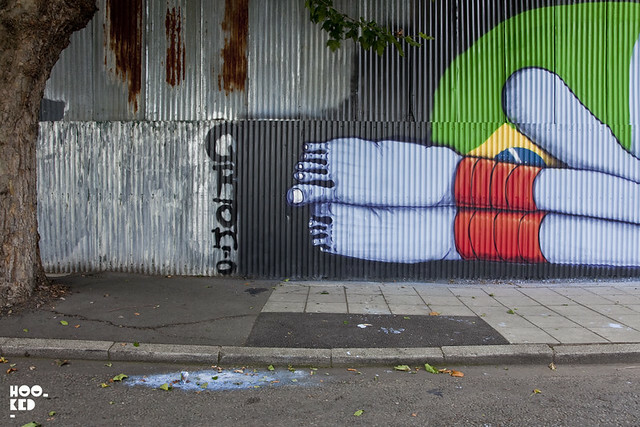 South American graffiti/street artist Cranio has been making the most of his time in London and has been painting everything blue! We have already seen number of murals around Shoreditch (covered here) and Brick Lane as well as a number of collaborations with other artists including the awesome roof-top piece with London artist Mighty Mo (covered here) and some fun murals with Hin and Alex Senna. 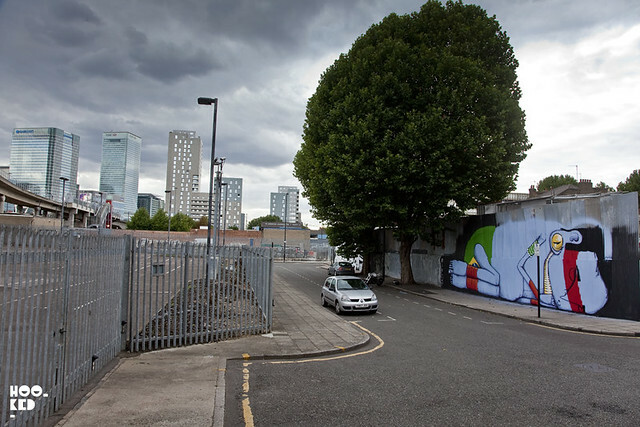 The artists latest work is his largest London mural to date sees Cranio scaling up one of his signature homeless blue indians, taking shelter under a tree in the shadows of Canary Wharf in East London. 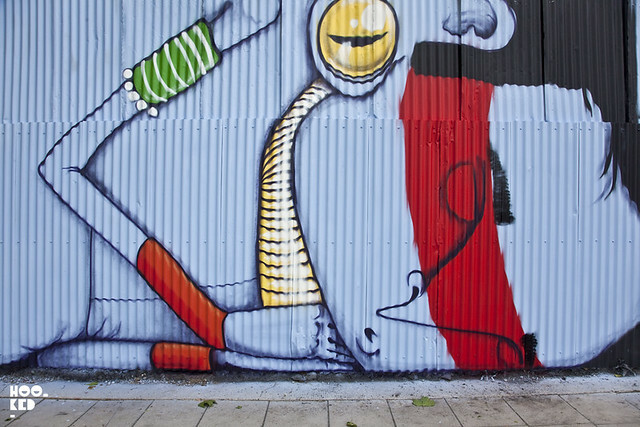 This sleeping giant is one of two sleeping characters along this wall, we have already featured fellow São Paulo artist Alex Senna's mural (covered here). 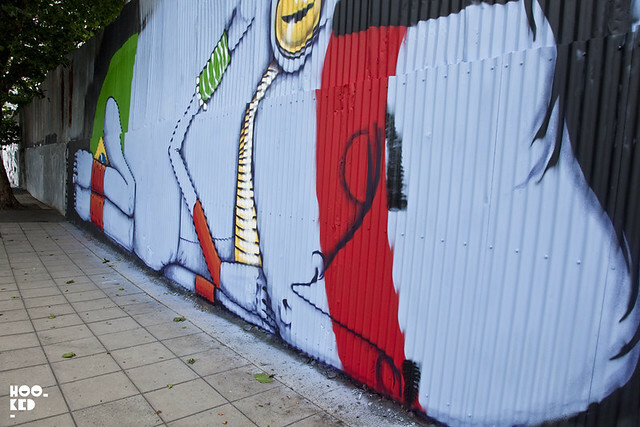 Cranio still has some work to do before this mural is complete so check back soon for the finished piece.